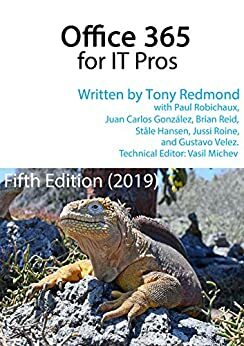 Update #13 for the Office 365 for IT Pros (2019 edition) eBook is now available for subscribers to download from Gumroad (EPUB and PDF) or Amazon (Kindle). 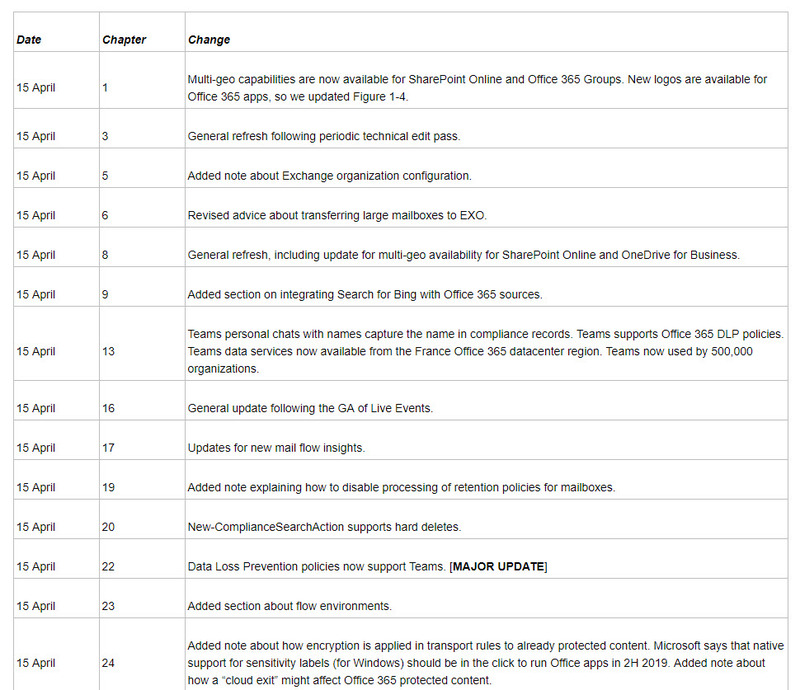 This update features changes in 14 of the 24 chapters, so it’s substantial. 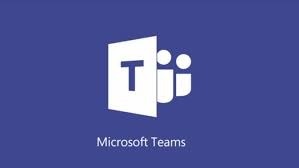 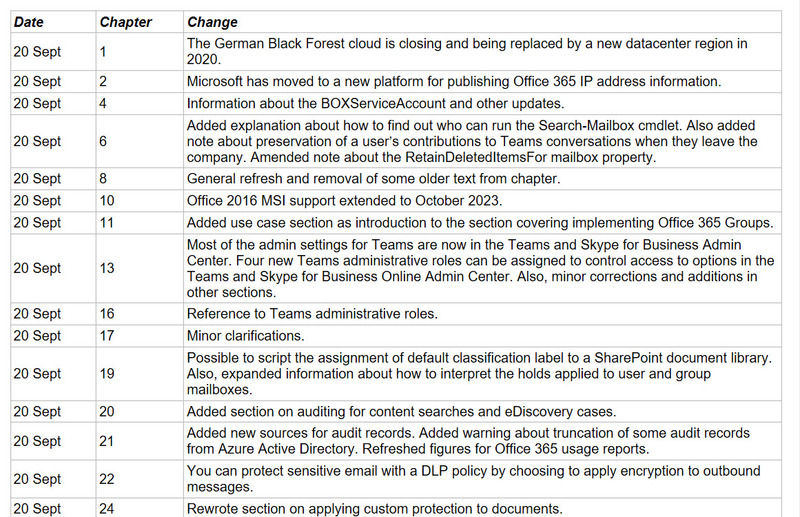 Just like Office 365, the book keeps on changing to keep track with new developments, best practice, and information released by Microsoft. 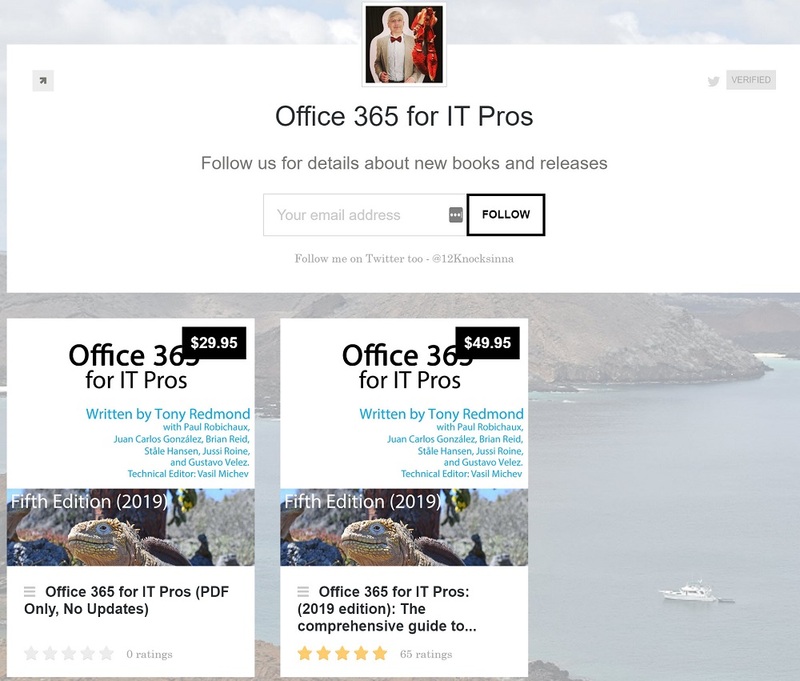 Subscribers to the Office 365 for IT Pros eBook can now download the September 20 update from Gumroad.com or Amazon, depending on in which format they bought the book.